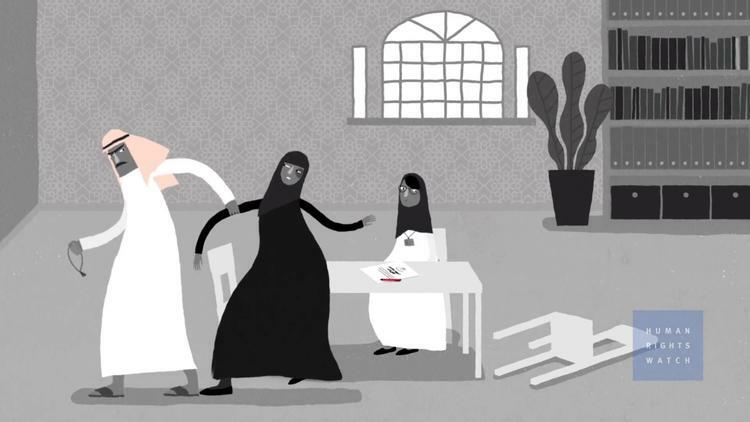 Human Rights Watch (Beirut) – Rahaf Mohammed, the Saudi woman who managed to successfully flee her allegedly abusive family, has shed new light on the countless women trapped under the abusive male guardianship system in Saudi Arabia, Human Rights Watch said today. Women face systematic discrimination and are left exposed to domestic violence under the male guardianship system and have few places to turn when they face abuse, leading some women to undertake dangerous escape attempts to flee the country. Saudi women walk past jewellery shops in the Tiba gold market in the capital Riyadh on February 27, 2018. The Riyadh gold souk is short of salesmen after a government edict to replace foreign workers with Saudis as part of contentious efforts to tackle high unemployment, with many of them who have been long accustomed to a generous cradle-to-grave welfare system regard such jobs as degrading. / AFP PHOTO / Fayez Nureldine (Photo credit should read FAYEZ NURELDINE/AFP/Getty Images).